Election Talk: No 16, October 2004: Botswana's main opposition parties boycott the All-Party Conference, Party-government relations in post election Malawi, Mozambique: A lesson not to be forgotten, will SWAPO win the forthcoming election in Namibia? Election Talk: No 15, August 2004: Delimitation of constituencies and demarcation of polling districts in Botswana. 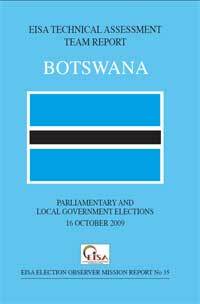 Election Talk: No 14, July 2004: Botswana 2004 election: political parties' manifestos and policies. Election Talk: No 13, May 2004: The role of political rallies in Botswana's electoral process. 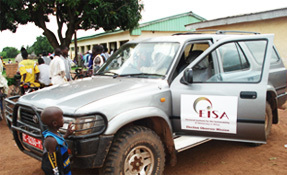 Election Talk: No 12, April 2004: Voter education in Botswana: towards 2004 General Elections. Election Talk: No 11, March 2004: The impact of parliament expansion on the electoral process in Botswana. Election Talk: No 10, March 2004: Botswana's 2004 election campaign process. Election Talk: No 9, February 2004: Botswana's electoral politics in 2004. Election Talk: No 8, February 2004: Background to Botswana's forthcoming 2004 election.